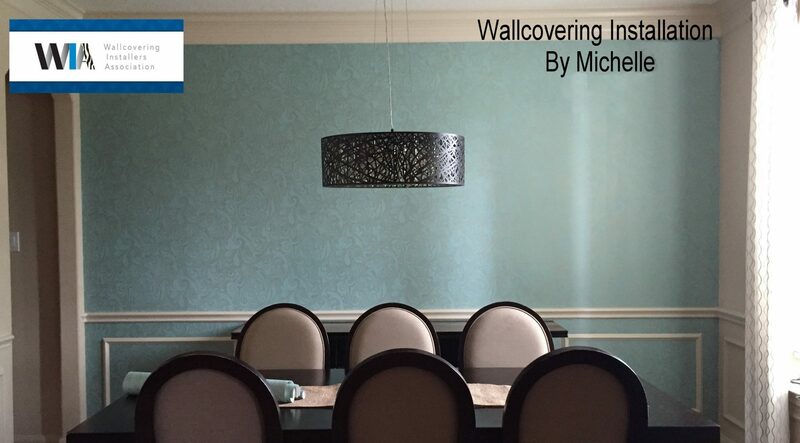 I recently got to work for a lovely older couple who wanted to change out their aging master bath wallcovering. After removing the existing paper and border, then preparing the walls, I hung a liner to insure a smooth, fresh surface to hang on. It has been a while since I’ve hung a Moire and it was a very easy installation. Although the wall color is darker now, the bright lighting combined with all the other light surfaces, allow the solid color walls to pop. It looks like a brand new master bath! This entry was posted in Bathrooms, Uncategorized, Wallpapering Jobs on January 11, 2016 by Paperhanger.